My 2014 review of John Wick was wrong. In that piece, I complained about an unexplained world where questions piled up at the rapid rate of body counts and mistakenly looked for a deeper explanation to the method behind the madness. Not only is the original a masterful piece of action filmmaking – the movie itself an autobahn driving full speed ahead towards destruction and death – but it’s also a complete personal arc of a man slaughtering cattle as a means of counseling his own tragic grief. John Wick is an anti-hero by the very nature of the term; a murderer with a soft side. 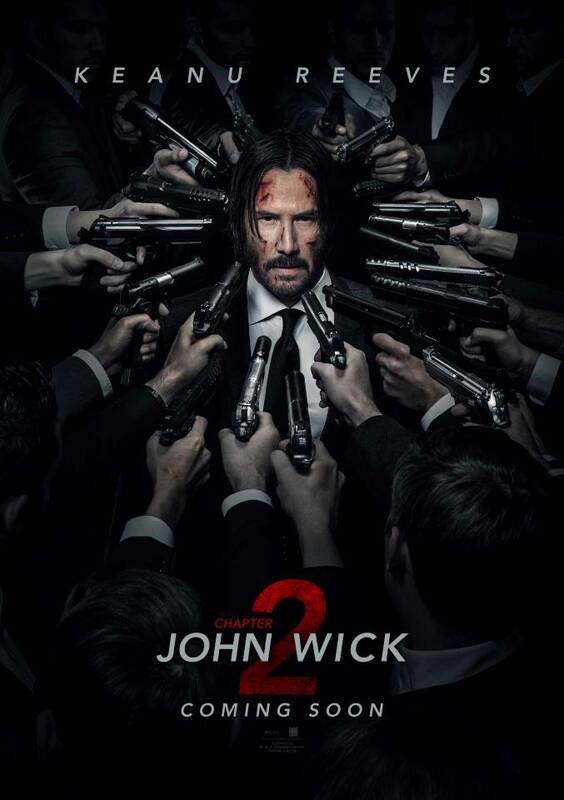 That’s the bizarre appeal of this series, and while the action set pieces are amplified, bigger, and more energized this time around, John Wick: Chapter 2 never progresses the protagonist’s path towards outright righteousness or immorality. He’s in a wormhole. Shortly after the events of the first film, John (Keanu Reeves) graces the screen as he seeks out his ’69 Mach 1 Mustang. It’s at a facility run by Abram Tarasov (Peter Stormare), brother to the dearly departed Viggo and Uncle to the deceased Iosef. John kills men, batters his car, shares a drink with Abram and leaves in peace. The quiet is short-lived as Santino D’Antonio (Riccardo Scamarcio) comes a knocking. Santino holds a Marker for John. It’s a blood oath of a bond, a means of repayment for a loan, which in this case is Santino’s involvement helping John pull off an impossible task to retire. Now he’s come back to collect his debt. Santino needs his sister murdered so he can take a seat at the High Table of crime lords. John refuses, bombs are shot into his house, and the short fuse to Mr. Wick’s candle is struck by a match. 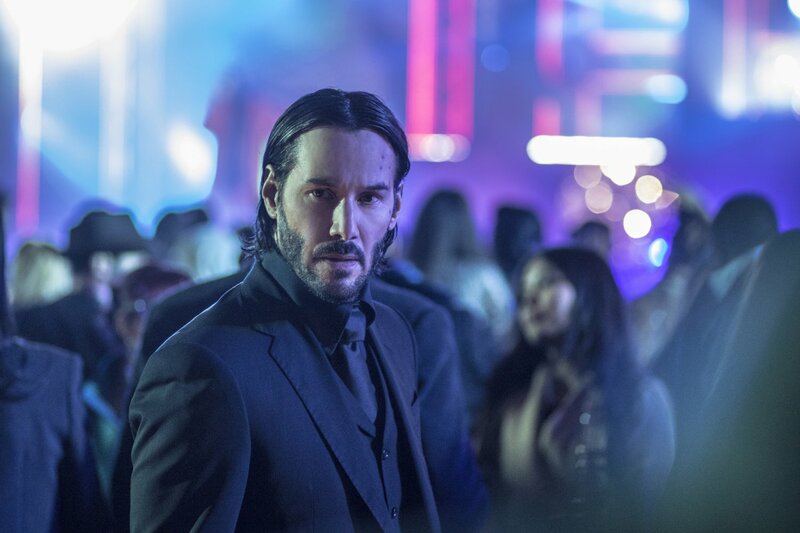 Whereas the opening act of John Wick introduced us to a new leading man and gave brief glimpses at the inner turmoil boiling beneath his thick-skinned surface, Chapter 2 starts off without much incentivized meaning, trotting along slowly and talking in conversations that aren’t all that interesting to listen in on. This new foray sells us the cheap seats; we’re way up in the nosebleeds looking down from a boring and lifeless section. However, it does this because the fireworks are placed on the rafters right behind us, so once the pin on this action packed grenade is pulled, we’re in for a sensory assault on the eyes and ears. Chapter 2 is definitely a lesser overall film but also a more exuberant spree of Gun Fu style close quarter kills, helping to deal a double dose of virility to a genre that’s gone so limp outside of this series and both of The Raid films. 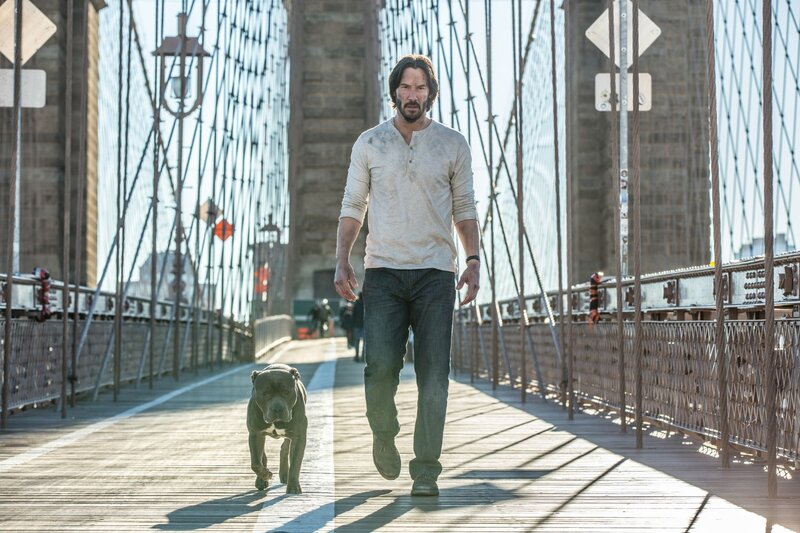 The bloodied diary of John Wick is at its B-movie best when it simply acts on instinct. When it puts its head down and plays the own game its own way. When it rips the bunny ears off the television and lives in the steady static noise of a metronomic man. With that deadpan stare down and droll delivery, Keanu Reeves’ take on John Wick is a feature film example of the Kuleshov Effect. An indefinable face that’s more emotionally fulfilling through sequential shots than in isolation. In John Wick, the images and the scenes unfold like video-game embellishments of the four canonical gospels of the New Testament, structured with similarities and skepticism. We understand John because the surrounding scenes grant depth. On the contrary, Chapter 2 preaches through Old Testament ethics and God-fearing parables. 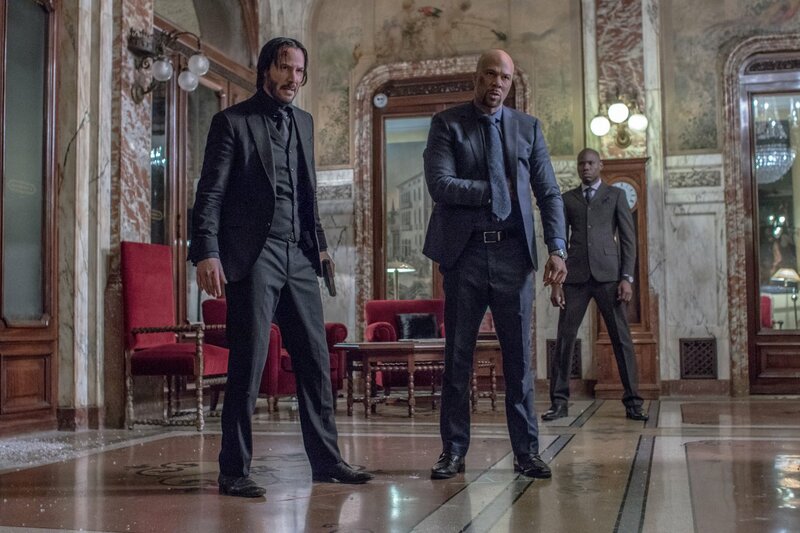 These narrative decisions dirty the work and diminish its soul, but when it comes to the entire purpose of this picture – to hunt and to seek vengeance – director Chad Stahelski and his star deliver a ride with as much fervor as Samuel L. Jackson quoting Ezekiel 25:17 in Pulp Fiction. If there ever was an Oscar for stunt work (which there absolutely should be), John Wick: Chapter 2 would be hard to beat. LOVED this movie. I think it might be the most entertaining one I’ve seen this year. Classic revenge film, a premise that’s so simple that it’s genius, and lots of great gratuitous violence. What’s not to like? Keanu Reeves was really on point in this movie, and his economy of movement and complete remorselessness in dealing out death made him believable without being cheesy. The moments of comic relief were perfectly placed. The conversation that the reviewer noted illustrates the wealth of meaning behind very few words. The supporting cast was really good. Very satisfying finish. Definitely agree that the trailer is pretty horrible.